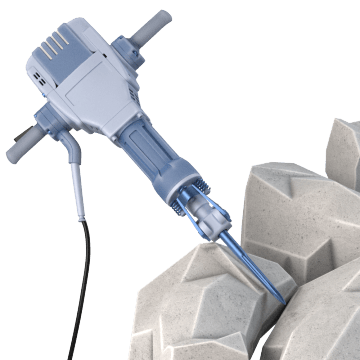 Commonly referred to as jackhammers, these demolition hammers break down large, solid, impact-resistant structures such as concrete, brick, or wooden walls and concrete pads or foundations. 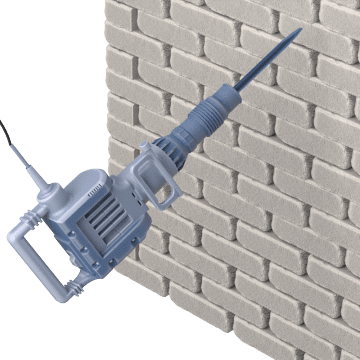 These corded demolition hammers plug into an AC power source to provide consistent power output in heavy duty applications that require long or continuous run times. 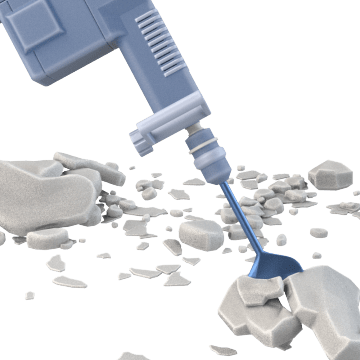 Use these general purpose demolition hammers for common applications such as edging, chipping, chiseling, minor demolition, digging, scraping, and tamping (packing). With a higher power-to-weight ratio than most general-use or heavy duty demolition hammers, these high-performance tools are a good choice for horizontal applications or tasks where the tool must be held for a long time. 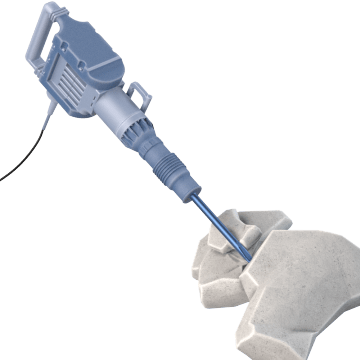 These heavy duty demolition hammers are used for demanding tasks such as demolishing, chiseling, or crushing thick layers of concrete or asphalt. They can also be used for digging, compacting, stripping, and roughing applications. They are heavier than other types of demolition hammers and provide the highest impact force per blow.